The roots of Delhi-based Tantra are five like-minded neighbourhood friends, consisting of Goodwin [vocals], Anurag [keyboards], Gaurav [drums], Anshul [bass], and Jickson George [guitars], who has also composed “Saaya”. In what initially appears as a weird mishmash of power metal and stoner rock combined with eclectic sounds, “Saaya” works well following several listenings and, eventually, becomes an addiction. Jickson’s memorable riffs and his talent for playing guitar, Anurag’s creativity in providing sounds of multiple instruments through keyboards and, paradoxically, the perfectly disjointed drumming by Gaurav really drive the band’s performance on “Saaya” above most Indian rock standards. 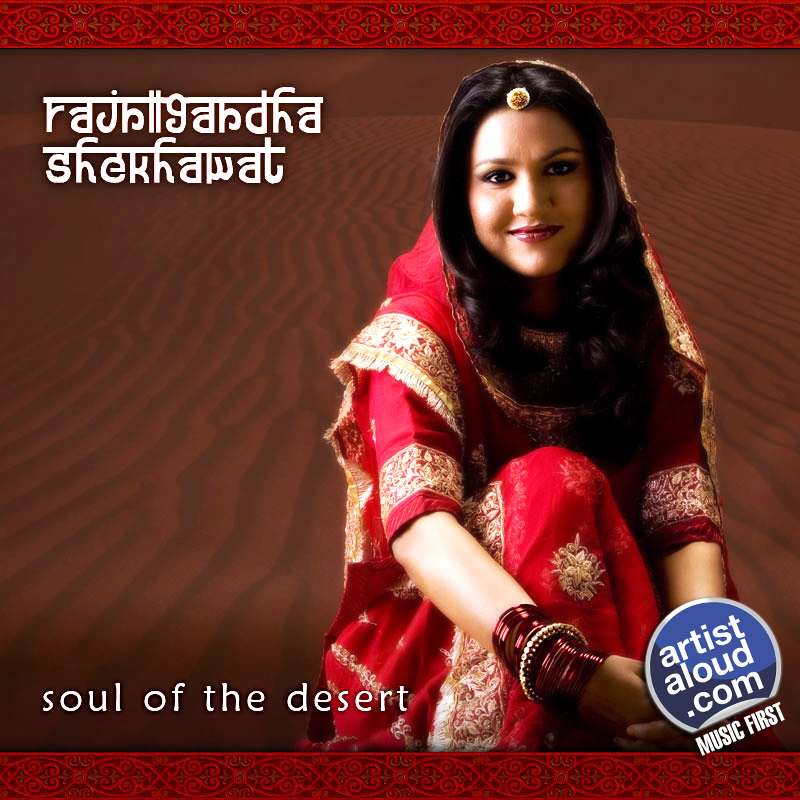 With a Master’s degree in Hindustani music, Rajnigandha Shekhawat is an artiste that has origins in Rajasthani aristocracy backed by her interest in singing that commenced during school days. Not willing to rest on the laurels of her early days or – for that matter – on her academics, Rajnigandha pursues her passion for musical ethnicity on “Moriya”. With largely contemporary keyboard instrumentation that contains more than a fair bit of influences from Enigma’s “Sadeness [part I]”, the German new age musical project formed in 1990 by Michael Cretu. But the Indian influences are the key differentiator as the monotones of electronic sounds receive a welcome break with a guitar interlude, as Rajnigandha’s high pitched voice is well conversed with the requirements of “Moriya”. The bio for Paadhai speaks of the unit as “a mixture of highly creative and active individuals driven by passion to do something different and meaningful apart from their regular jobs”. The song starts with a disclaimer though, before the music commences – a soft, acoustic guitar-based ditty [courtesy Deepak] that is a simple tune composed by Siva with no fuss arrangements. Although there is nothing exceptional in the singing by Arun, the harmonies work better on this unassuming piece of pop. 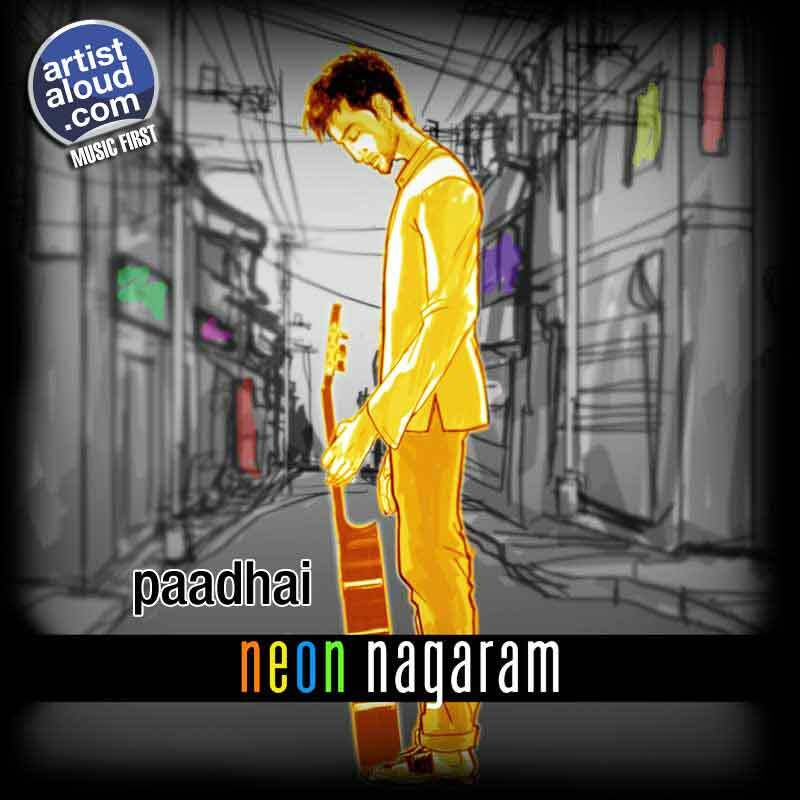 While there is a fine dividing line between light and lightweight, and the musicians will need to work hard to ensure that future recordings remain light rather than falling into being lightweight as Paadhai definitely has potential in moving towards more substantial music moments in future. MUMBAI: The DopeStudio bagged three trophies at the 2014 ArtistAloud Music Awards, with wins for Best Sound, Best Composition and Best Lyrics. Band member Abhishek Dasgupta was presented the award for Best Lyrics by ghazal singer Pankaj Udhas, while Best Sound and Best Composition were given to the indie rock band by composers Leslie Lewis and Salim Merchant, respectively. Soul singer Viraj Bahri and Bollywood playback singer Sujata Majumdar tied with two wins each. Bahri along with his mother, singer Promila Bahri, won Best Group and Best Video for ‘Vande Mataram Reprise Acoustic Version’. The award for Best Video was presented by singer Sona Mohapatra, while Best Group was presented by Turnkey Music & Publishing Pvt. Ltd MD Atul Churamani. Majumdar won Best Female, which was presented by popular Bollywood playback singer Shaan. She also won the Bajate Raho Best Song award for her single ‘Manwaa’, which was given to her by RJ Malishka. The Best Male award was presented to Hindi pop/rock singer Anurag Dixit by famous Bollywood musician Shankar Mahadevan, while Sanjay Pathak took home the Best Album award for his self-titled album, which was presented to him by Bollywood singer/ composer/ actor Himesh Reshammiya. Meanwhile, one half of the Salim- Sulaiman composer duo- Sulaiman Merchant presented the 9XO Best International Artist award to Mick Clarke. Bollywood playback singer Abhijeet Bhattacharya presented Shruti Pathak with the Best Genre award, while live electronic act The Sanket and Rajan Project was awarded the Best Single (Jury) for the track, ‘Kahani’, by actor turned singer Priyanka Chopra. 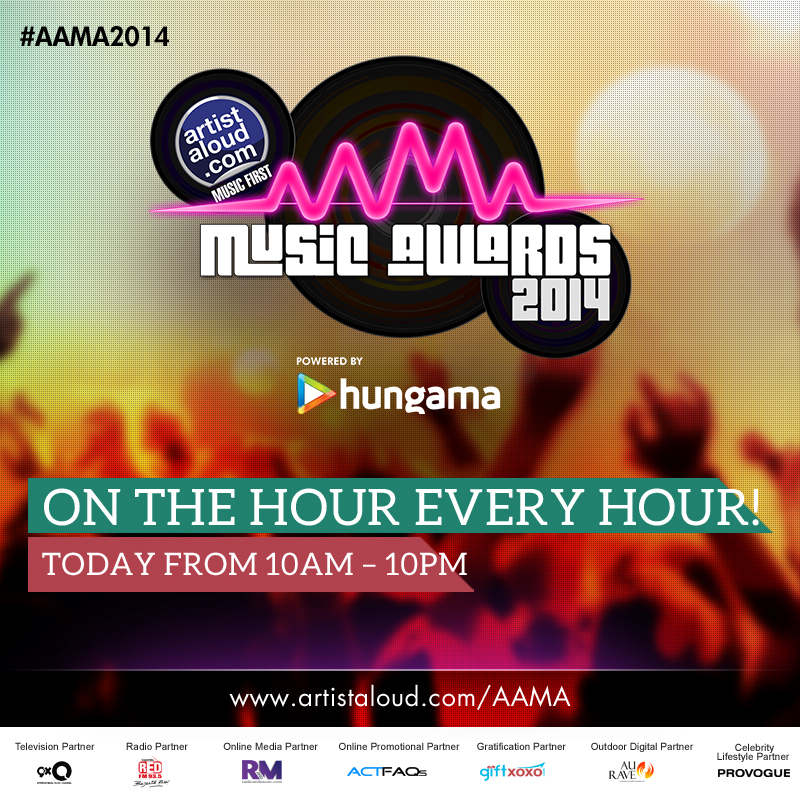 The 2014 ArtistAloud Music Awards were presented digitally, on Facebook, Twitter and the ArtistAloud website on 18 May, between 10:00 am to 10:00 pm. With a lineage consisting of a grandfather who was a cello player and a mother who is undoubtedly Merlin ‘The Magician’ when it comes to playing keyboards, saxophonist Rhys Sebastian D’Souza takes on the onerous task of tackling one of Paul McCartney’s finest compositions, which resulted in this Beatles classic. Rhys’ sax opening is followed by, appropriately, motherly support on keyboards, providing Rhys an opportunity for considerable improvisation which showcases his maturity on this instrumental way beyond his age. No doubt, handling “Let It Be” is a bold effort, but the mother and child reunion does enough to make their marvellous rendition their own. Singer-songwriter Subhrojyoti arrives from Pune, and shuffles smoothly between roots rock origins to jazzier variations on “Orphaned”. Not only as a songwriter, but as an instrumentalist too, Subhrojyoti’s pretensions on “Orphaned” indicate his musical skills on the instrumental arrangements contained therein, helped by a new wave-tinged pop production. While Subhrojyoti’s vocals have obvious limitations, they actually help the listener concentrate on the musician’s progressive rock inclinations when they take hold of the song. Subhrojyoti establishes a sound of laid-back shuffles and intricate, bluesy guitar playing. This is an instrumental version of “Bhulaadiya” by Sugarzzz – also known as Sweta Bhatt, who has origins in Gujarat but has, since, gone global [read Dubai] – featuring the talent of music composer Ali Mustafa. A variety of instruments and their variants are combined to create an excitable multitude of ever changing rhythms, tones, and pitches, that all fuse neatly into each other, resulting in a surprising instrumental plethora of sounds. Keyboards start the song off slowly, as percussion wriggles its way into the current sound that is heard, until there is a grand unison of sounds that turn soothing to the ears. Throughout the song, the tempos range from soft to intense to utterly surprising, making for some excellent musical culmination. This instrumental of “Bhulaadiya” is a fine excursion into the realm of new age music.